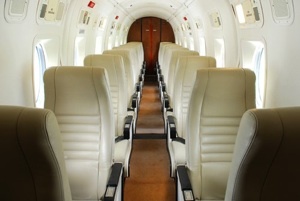 Beebe Custom Upholstery has been serving the aircraft upholstery industry for more than 25 years. 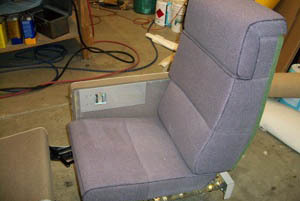 Located in Wichita, Kansas, “The Air Capital”, Beebe Custom Upholstery has had the opportunity of collaborating with the finest designers and engineers in the industry, developing seating for aircraft such as the Lear Jet 30, Lear Jet 45, Beech Jet, Beech Bonanza, Piper Altaire, and Cessna Columbus. Beebe Custom Upholstery fabricated production seat covers for the Hawker Beech Model 1900 C & D from 1985 until the end of the production in 2001. We also fabricate carpet kits for the Beech Model 1900 C & D as well as tie down kits, crew seat covers, crew sidewall panels. We specialize in custom interior refurbishing for all makes and models of aircraft. 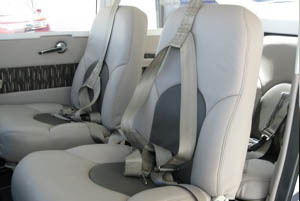 Whatever your interior needs we guarantee impressive results, including foam build-up, and seat design of your choice. 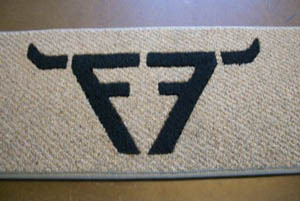 We also have woodworking capabilities.